What does your bouquet say? It’s true. 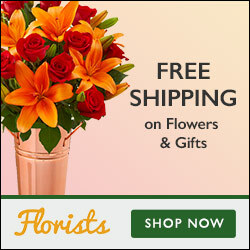 You really can’t go wrong with flowers on Valentine’s Day. Beautiful, sensual and romantic, they’re the perfect way to say “I love you” (or “I really, really like you”). But when you’re choosing flowers, be sure to pay attention to the color. Each hue has a traditional meaning that can say a lot more than the card you include. So when you’re selecting a bouquet for V-Day or any occasion, use this guide to make the biggest impact with your bouquet. Sure, it’s the most obvious choice for romantic occasions like Valentine’s Day, but you can’t go wrong with a classic. Red represents beauty, courage and, of course, love and passion, making it the perfect flower color to heat up your relationship. Surprise your sweetheart with a dozen red roses (an oldie but a goodie) – or go with a bunch of ruby-colored gerbera daisies or carnations. While red is for passionate love, pink is for innocent love. Pretty, flirty and delicate, pink flowers symbolize grace, happiness and youth. So if your relationship is just blossoming come Valentine’s Day, you can bet she’ll be delighted by a gorgeous arrangement of pink mums, English roses or Asiatic lilies. They also all make perfect birthday flower bouquets for girls. We don’t usually associate orange flowers with love, but they too express warmth, desire and passion, thanks to their vibrant hue. Orange or coral-colored roses are good go-to’s for romantic occasions (anniversaries, Valentine’s Day, etc. ), while tangerine-colored mixed arrangements exude enthusiasm for everything from thank you’s to housewarmings. Like pink, lavender represents grace and femininity, but it’s more refined, more sophisticated and elegant. Pretty lavender blooms are perfect for mommies-to-be; tiny wild asters can say “thank you” or “happy birthday”; lilac-colored roses tell her you still think she’s beautiful, even after all these years. Yellow is the color of sunshine, representing all that is joyful, happy and new. Which means a bunch of daffodils or sunflowers can just as easily cheer up someone who’s down as tell your closest friend how much you appreciate him or her. You can also opt for a sunny-colored bouquet in lieu of (or in addition to) a get well card. The cool hue of hydrangeas, irises, and hyacinths evokes the openness of the vast sky and the serenity of a calm ocean. Far more peaceful than melancholy, blue flowers can express your sympathy, say “I’m sorry” or even soothe the pain of someone who is hurting. Green isn’t just for stems and leaves; it’s also a pretty hue for roses, chrysanthemums, orchids and carnations. And because the color embodies nature, it epitomizes health, good fortune, optimism and renewal. An assortment of buds in different shades of green (from lime to hunter) is the perfect way to say “congrats” or wish someone good luck.